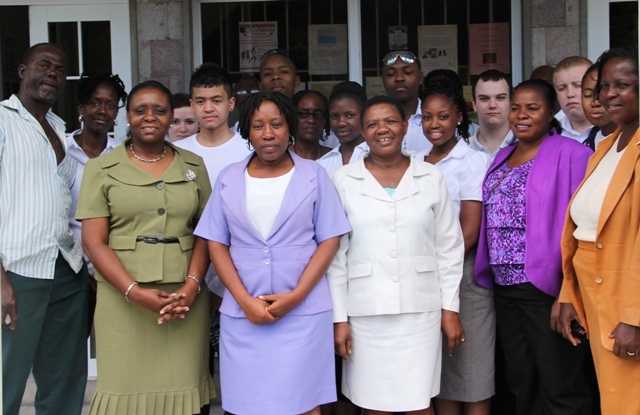 NIA-CHARLESTOWN, NEVIS (April 14TH, 2011) — Nine students from various secondary schools and colleges in England have, since Mar. 28, been participating in a three-week student exchange programme on Nevis. The teenaged students were officially welcomed by some of the island’s education officials including representatives of the various secondary schools. 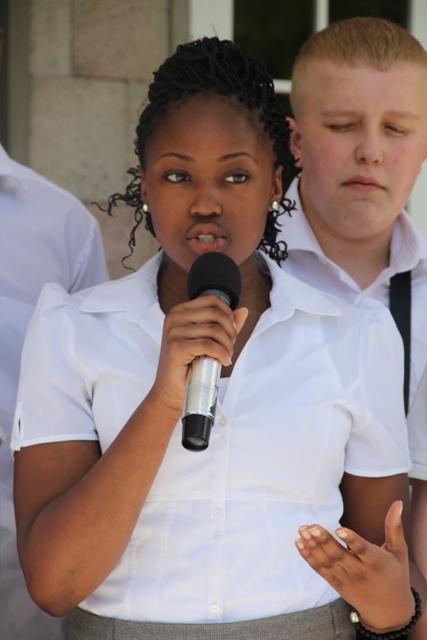 While the Programme Coordinator and Head Facilitator Ms. Diahanna Hendrickson spoke of the purpose of the exercise, student at the Kings Church of England School in Wolverhampton, Ms. Monique Adoti, spoke with the Department of Information about the benefits she hoped to gain. “When they talk about role models in schools they tend to be the same kind of or type of role model and it tends to be a middle-aged white male or female and it’s good to come to somewhere where all the people in authority are going to be black people and it’s good to see a difference so it gives you kind of a hope as well and it opens your eyes to different cultures,” she explained. Student, Ms. Dionne-Jay Campbell of the Wolverhampton-based Highfields Science Specialist School said she too was honoured to be part of the exchange programme. While her reasons were different to those of Ms. Adoti, she described the opportunity as a “golden” one. “The reason I came on the programme is just to experience the culture and the diversity here because I feel that in England, we don’t really value education and what it stands for whereas here where it’s a little bit less important for education, those that are in education, value it and would be able to apply it to their lives and to their careers. I think that being here, I would really be able to excel in myself on how I approach the world,” Ms. Campbell explained. Coordinator Hendrickson said she was pleased that the programme had commenced and [she] was eagerly anticipating phase two of the exercise. “We want to do a full exchange programme where we bring a pilot group of students over here to work. We want them to experience what it is to live here as a young person in Nevis. “Hopefully on completion of this part of the programme, we hope to do a return visit for students on the island of Nevis to visit us in London, England for the same amount of time: three weeks,” Ms. Hendrickson explained. As part of the educational exchange, the students were integrated into the programmes of the Lyn Jeffers, Charlestown and Gingerland Secondary Schools and the Nevis Sixth Form College. 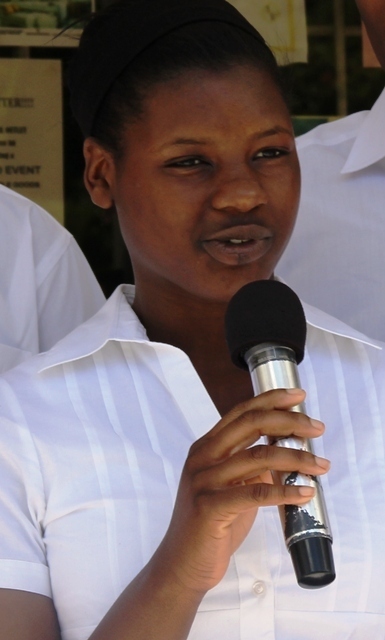 “We want them to experience what it is to live here as a young person in Nevis. 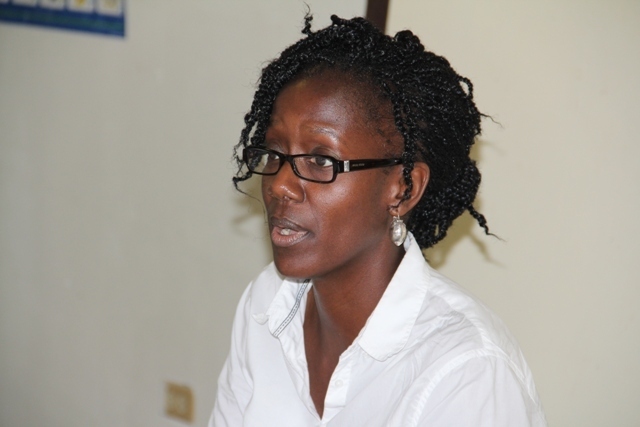 I was here in October-November where we came to promote the programme,” Ms. Hendrickson said. Students from the Greenwich Community and Lewisham Colleges have also participated in the educational exchange and Ms. Jamila Watson and Mr. Robert Hendrickson are co-facilitators.